What do the First Minister of Wales, Carwyn Jones, and Green MSP John Finnie have in common? ‘They’re both silver-headed, centre-left politicians’, I hear you say. That’s true. But these men have an even more striking commonality than that. Both of them are championing plans to criminalise parents who smack their children. In Wales, Carwyn Jones’ Government has said it will legislate to remove the defence of ‘reasonable chastisement’. In Scotland, Finnie is seeking to do precisely the same thing by tabling a private member’s Bill, which already has support from the SNP Government. The effect of these proposals would be to make mild physical discipline a criminal offence. Under a smacking ban, a mother who taps her child on the back of the legs for running out into the road could be arrested and charged with assault. If that sounds like scaremongering, look at the impact of the smacking ban in New Zealand, where the law was changed in 2007. These plans are bad news for parents across Scotland and Wales, the majority of whom do not want the Government to legislate on this issue. ComRes polling for Be Reasonable in both nations revealed that more than 70 per cent of the population do not want smacking to be a criminal offence. Close to 80 per cent of Scots and Welsh adults also agreed that the decision to smack or not smack should be left to parents. Perhaps then, this is another thing Finnie and Jones have in common – they’re both acting against the wishes of their electorate. 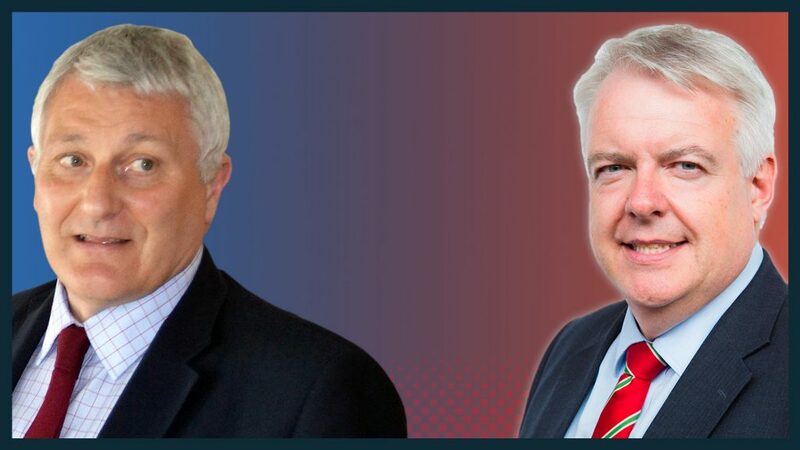 Both John Finnie and Carwyn Jones smacked their own children. That’s right – the two men behind plans which could criminalise thousands of parents for smacking their kids both administered a light smack to their own offspring. Asked last year if he smacked his children, John Finnie told reporters: “As a parent, I did”, adding, “I’ve got two well-rounded offspring”. Now it is perfectly acceptable for Finnie and Jones to change their mind on smacking as a parenting technique. Some parents feel smacking is for them. Some feel it is only necessary for certain children. And others feel it is not necessary at all. But Finnie and Jones have not simply changed their tune. They intend to compel parents across Scotland and Wales, by force of criminal law, to adopt the parenting values of the governing elite, or be punished. Their intentions are both chilling and patronising to parents who should not be subjected to this kind of state meddling in the minutiae of private family life. They also reveal a blatant double standard which says: ‘we smacked our kids, it did them no harm, but times have changed and anyone who smacks now ought to be punished’. How many more members of the Welsh Assembly and the Scottish Parliament are in the same position? There is no evidence that light, infrequent smacking does any harm to a child. In fact, the evidence would seem to suggest quite the opposite. In Sweden, child abuse rates and child-on-child violence increased after smacking was banned. It is time for Finnie, Jones, and any other politician who supports a ban on smacking to take stock of the untenable position they hold. Their parenting dictates are not welcome and their legislative proposals carry a real risk to mums and dads.